Paper Daisy Crafting: Pootler's Design Team - Week 3 - Flirty Flowers from Stampin' Up! 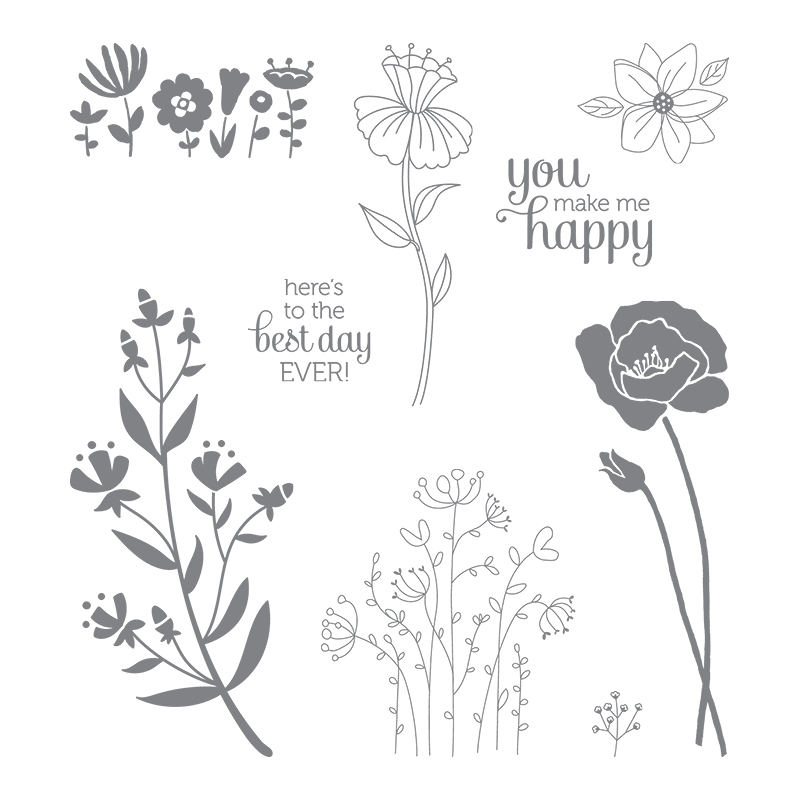 Pootler's Design Team - Week 3 - Flirty Flowers from Stampin' Up! 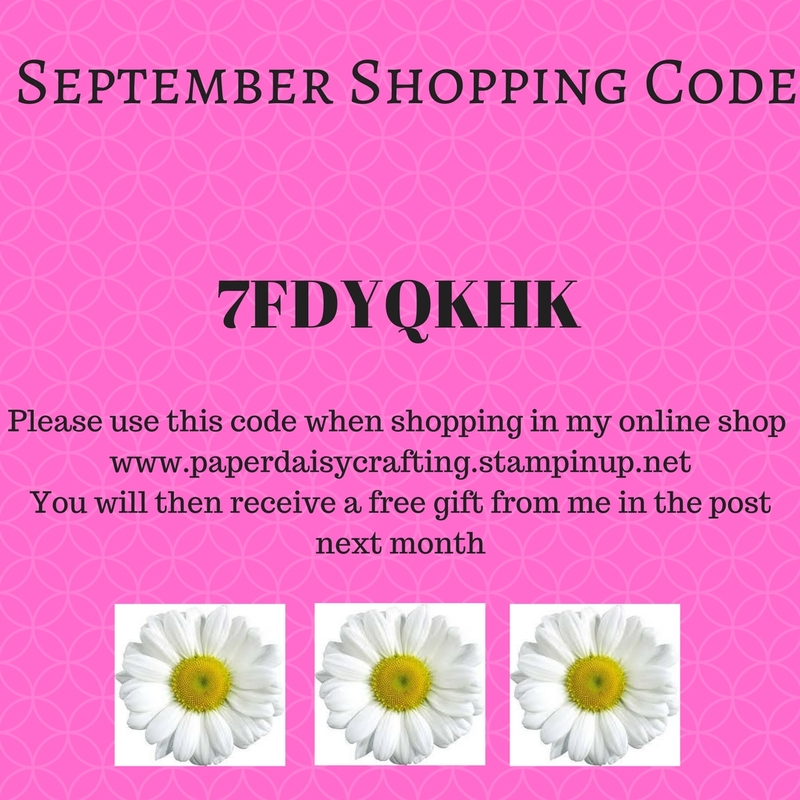 Welcome to the third week of the Pootler's Design Team blog hop for September. I hope you have been inspired so far by all the ideas of how to use our featured stamp set : "Flirty Flowers" - such a versatile set! 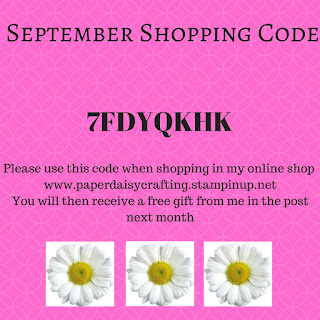 I have once again used the Decorative Ribbon Border punch to create the little scalloped borders - pop back to last week's post if you'd like to know how I did that! 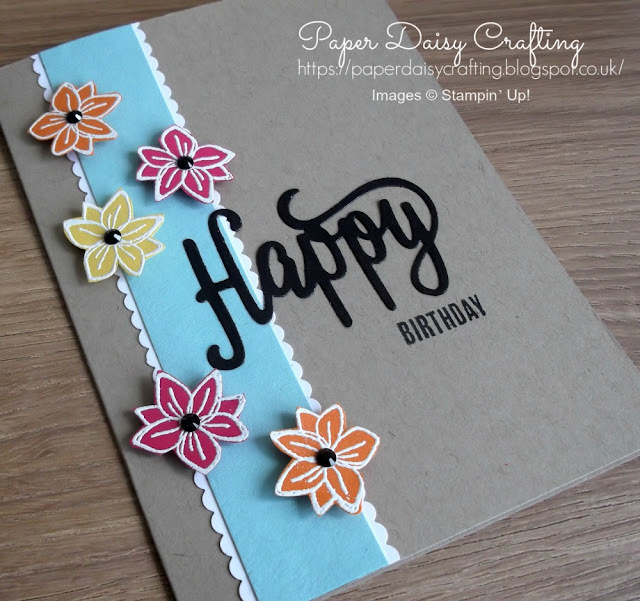 I have stamped the flowers with Versamark on brightly coloured cardstock and then heat embossed in white. Then for some "fussy cutting" - I cut out each flower by hand using my paper snips - no dies or punches in sight! I cut off the leaves and contemplated how to add them back using green card but in the end I didn't think they were needed! 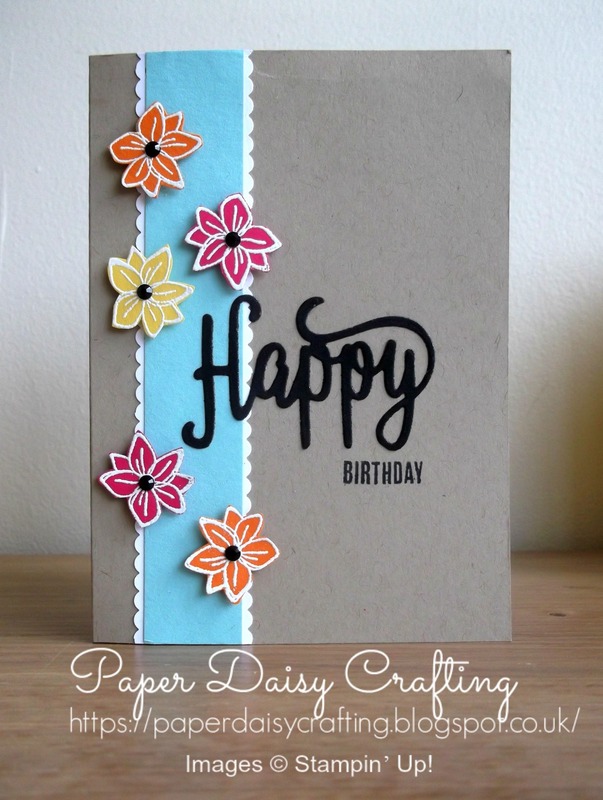 I have then cut out the Happy Birthday thinlit die from Basic Black card and carefully cut the two words apart. After sticking down the "Happy", I stamped "BIRTHDAY" in Basic Black, using a little stamp from "Tabs for Everything. What do you think? Not quite as I imagined it, but I quite like it anyway!